Chris Young’s “Who I Am With You” and Dierks Bentley’s “Drunk On A Plane” each move up one, but still come up just short of the top spot as Jake Owen’s “Beachin'” hangs on at #1 for a third week. Rounding out the top five are Blake Shelton’s “My Eyes” and Joe Nichols’ “Yeah”. Three new songs enter the countdown this week with Florida Georgia Line’s “Dirt”, the first single off their upcoming sophomore album, coming in at #19. 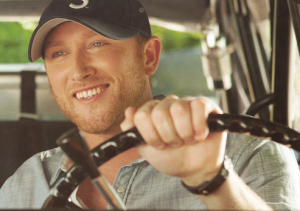 Also debuting are Cole Swindell’s “Hope You Get Lonely Tonight” at #23, hoping to follow up the success of “Chillin’ It”, and former Voice contestants the Swon Brothers enter at #25 with their debut single “Later On”.